Yes! 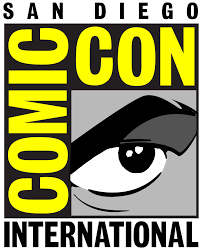 I’m going to Comic Con this year! Thanks to a great friend, I have tickets to attend this Thursday and Friday. Now, just to make it even more interesting, I’ve decided to participate in a little cosplay! Yep, I’m biting the bullet and dressing up this year. On one day I will be a throw back character, the Mistress of the Dark- guess who??? And the other day I plan to dress as an anime character I voiced on a series many many moons ago. Rocky Solotoff & Mike Sorich prepare to laugh your socks off! Once I get the final pieces together, I’ll post pictures of the characters. I don’t want to post too soon as anything could happen between now and Wednesday. Let me know if you will be there! No Comments on "Comic Con 2015"